Have you chosen your one meaningful word for this year? 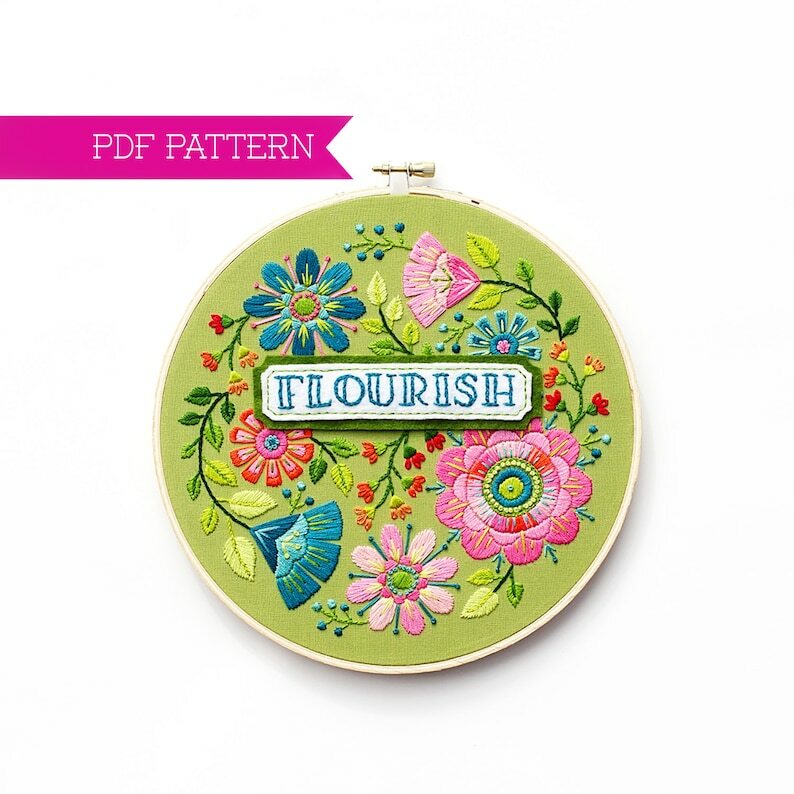 This instant-download PDF embroidery pattern is a great way to reflect on the word you want to focus on as you stitch a lovely folk-art inspired, flower-filled hoop with an accompanying word plaque. 67 words are included so you can choose the one that most inspires you. 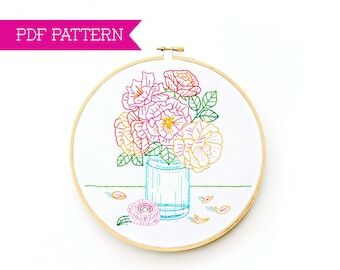 As an added bonus, there is a 45-minute video tutorial that will show you in detail how to stitch all of the flowers for this hoop. 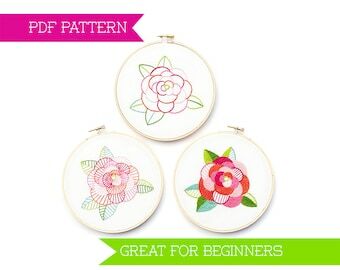 PLEASE NOTE - this listing is for an instant download PDF pattern. 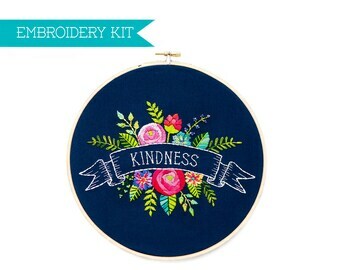 It does not include supplies or the finished hoop. *Due to the nature of the PDF format, there are no refunds on instructions/patterns. *Mass production, file-sharing, resale and/or distribution of pattern pieces, photographs, diagrams or instructions is expressly prohibited. Click on the sign-up form in the sidebar. I promise - no spammy emails...just the good stuff! If you're on Instagram, I'd love to have you follow me so you can see photos of my creative process and what I'm working on, participate in giveaways and find out the availability of finished pieces. If you're not on Instagram, come on over and see all the fun stuff that's going on with Lolli & Grace! Ann and all her tutorials and tips that came with this purchase have taught me so much!! I learned so many tricks and tips that will stay with me! I love this so much. Thank you so much!!!!!! I love everything about this project. Nicely packaged and shipped quickly. Anne has created a beautiful design with detailed and easy to follow instructions. 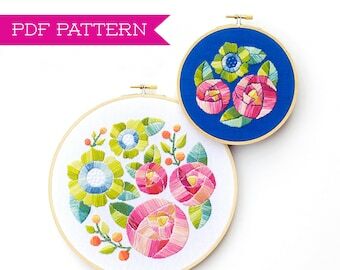 I've completed several of her patterns (after taking up embroidery a little over a year ago), they're gorgeous. I can't wait to get started with this one!